Invisalign is a great alternative to traditional metal braces. Instead of bulky metal wires and rubber bands, Invisalign uses a series of discreet clear aligners to straighten your teeth and improve your oral health. These nearly invisible aligners will gently move your teeth into the desired position over a period of time. Each aligner is worn for about two weeks and then you’ll move on to the next in the series. Because Invisalign aligners are created from impressions of your teeth, you can rest assured that they’ll fit you comfortably. Invisalign works by developing a custom treatment plan for you. First, your smile is scanned using a 3D scanner - no uncomfortable teeth molds! 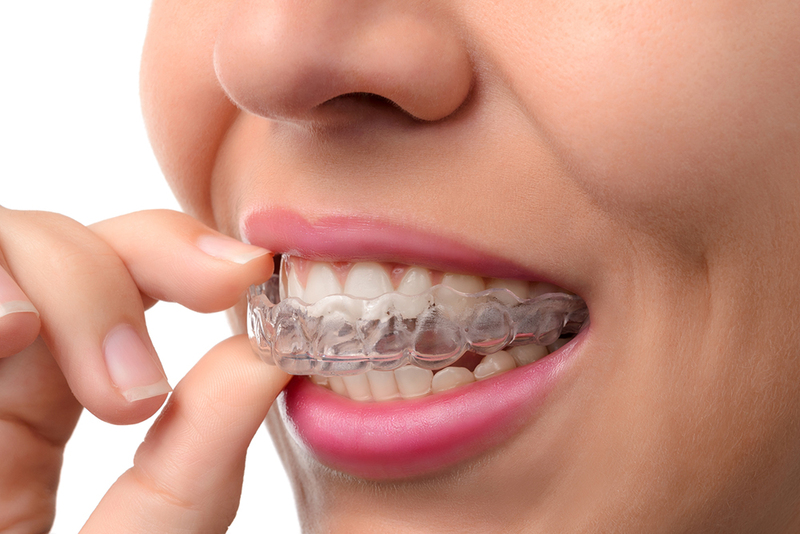 The digital scan of your teeth is then used to develop a series clear, invisible aligners that gently shift your teeth over a period of time, as you progress from one clear aligner to the next. Typically, most patients get a new aligner every two weeks, but this depends on several factors. How long Invisalign treatment takes depends on a number of factors, including the complexity of the case and how often the aligners are worn. While there is no one-size-fits-all answer, some patients see tremendous results in just a few months, while others typically take a year of treatment. The cost of Invisalign depends upon the patient's specific case. Many health and/or dental insurance plans cover, or partially cover, the costs. Give us a call today to find out more information, including what a pricing plan for you would like look, and whether insurance plans would cover it.